I have said it over and over again how I have traded in heels for flats since having Wesley. Well that has now changed, I have given a smaller heel a try. With my shorter legs, I never gave any thought to a shorter heel for my body type. 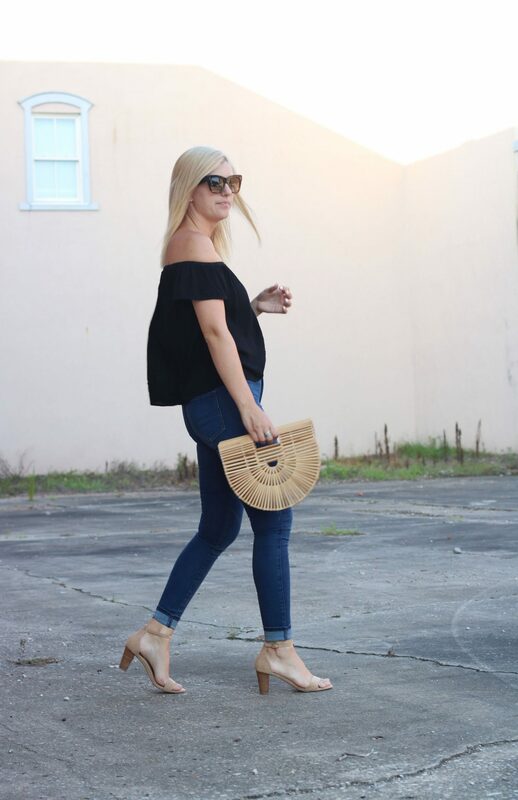 I have reevaluated that option and I am loving these heels, they are perfect with skinny leg jeans, maxi dresses (when you need that little extra height), and even with a cute pair of denim shorts. I have partnered with Restricted Shoes to share their comfortable and adorable shoes. They have a large selection of all heel heights as well as some really cute flats. Click here to check out the full collection! I also want to share a discount code (SS25) that you can use on your next purchase of regular priced styles to receive 25% off your order. I love restricted shoes! They have great options, and this neutral lower heel is perfect! So classic and chic. The little heel is perfect is you want a little something! The wooden heel is so cute and casual! Love this look! I love your style. Peasant dress are my daughter favourite!